Brown researchers have shown that optogenetics — a technique that uses pulses of visible light to alter the behavior of brain cells — can be as good as or possibly better than the older technique of using small bursts of electrical current. Optogenetics had been used in small rodent models. Research reported in Current Biology has shown that optogenetics works effectively in larger, more complex brains. Neuroscientists are eagerly, but not always successfully, looking for proof that optogenetics – a celebrated technique that uses pulses of visible light to genetically alter brain cells to be excited or silenced – can be as successful in complex and large brains as it has been in rodent models. A new study in the journal Current Biology may be the most definitive demonstration yet that the technique can work in nonhuman primates as well as, or even a little better than, the tried-and-true method of perturbing brain circuits with small bursts of electrical current. Brown University researchers directly compared the two techniques to test how well they could influence the visual decision-making behavior of two primates. Ultimately if it consistently proves safe and effective in the large, complex brains of primates, optogenetics could eventually be used in humans where it could provide a variety of potential diagnostic and therapeutic benefits. With that in mind, Sheinberg, lead author Ji Dai and second author Daniel Brooks designed their experiments to determine whether and how much optical or electrical stimulation in a particular area of the brain called the lateral intraparietal area (LIP) would affect each subject’s decision making when presented with a choice between a target and a similar-looking, distracting character. “This is an area of the brain involved in registering the location of salient objects in the visual world,” said Sheinberg who added that the experimental task was more cognitively sophisticated than those tested in optogenetics experiments in nonhuman primates before. The main task for the subjects was to fixate on a central point in middle of the screen and then to look toward the letter “T” when it appeared around the edge of the screen. In some trials, they had to decide quickly between the T and a similar looking “+” or “†” character presented on opposite ends of the screen. They were rewarded if they glanced toward the T.
Before beginning those trials, the researchers had carefully placed a very thin combination sensor of an optical fiber and an electrode amid a small population of cells in the LIP of each subject. Then they mapped where on the screen an object should be in order for them to detect a response in those cells. They called that area the receptive field. With this information, they could then look to see what difference either optical or electrical stimulation of those cells would have on the subject’s inclination to look when the T or the distracting character appeared at various locations in visual space. They found that stimulating with either method increased both subjects’ accuracy in choosing the target when it appeared in their receptive field. They also found the primates became less accurate when the distracting character appeared in their receptive field. Generally accuracy was unchanged when neither character was in the receptive field. In other words, the stimulation of a particular group of LIP cells significantly biased the subjects to look at objects that appeared in the receptive field associated with those cells. Either stimulation method could therefore make the subjects more accurate or effectively distract them from making the right choice. April 9, 2019 - Shining Light on Mouse Brains Provides Clues in Development, Neurological Disorders Managed Care magazineOptogenetics Provides Insights Into Basis of Fear, Addiction. April 11, 2019 - Shining Lasers on Mouse Brains Advances Knowledge of Cells Central to Alzheimer’s, Schizophrenia Photonics.comAlzheimer's disease and schizophrenia are some of the most common brain disorders and have been associated with problems in cells that contain a.
April 8, 2019 - Optogenetics Market Analysis, Key Players, Industry Segments and Forecast to 2018 – 2026 Market Research GazetteOptogenetics is a technique to control well defined cell events in living tissues. In optogenetics, cells are controlled with the combination of genetics and optics. April 9, 2019 - Optogenetics Actuators and Sensors Market Insight, Industry Analysis With Danaher, SLOC GmbH, Shanghai Optics, Elliot Scientific Ltd., Coherent Inc., GenSight Biologics, And Many More StockNewsMagazineGlobal optogenetics actuators and sensors market is expected to to reach USD 593.50 million by 2026 from USD 526.86 million in 2018 at a CAGR of 1.50%. 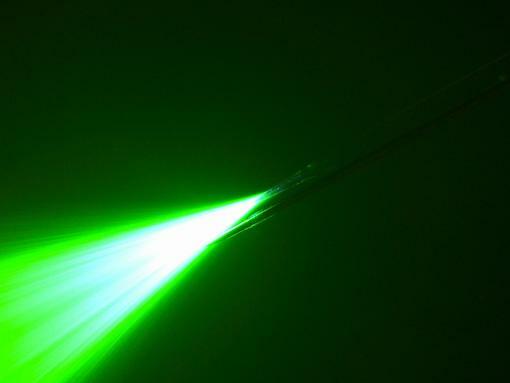 April 16, 2019 - Boosting biomed discoveries Photonics.comThe ultrashort-pulse (ultrafast) laser domain is on the rise in a growing number of biomedical applications, from multiphoton imaging and nonsurgical. June 1, 2018 - Cell Biology/Optogenetics: Optogenetics method leverages CRISPR/Cas9 tools BioOptics WorldUnderstanding gene function during cell growth, differentiation, metabolism, and homeostasis calls for tools able to control target gene expression in real time. August 20, 2018 - Using only light, scientists can manipulate memory — it’s called optogenetics ZME ScienceIt may sound like science fiction, but neuroscientists are currently able to manipulate the activity of specific neurons in the brain -- with light alone. May 31, 2018 - Optogenetic stimulation could eliminate sweet cravings in brain's emotion center BioOptics WorldUsing optogenetic stimulation to manipulate neurons in the brain's emotion center could erase the brain's cravings for sweet flavors. June 19, 2018 - This Sci-Fi Tool Lets You Shine a Light on the Brain OZYOptogenetics offers neuroscientists a chance to solve decades-old mysteries and promises therapeutic breakthroughs. February 4, 2019 - Optogenetics: Delivering Deep Brain Genetic Manipulation BioTechniques.comPhotoactive Flp recombinase developed for use in an optogenetic technique that can deliver genetic manipulation in the deep brain tissue of mice. July 20, 2018 - Hearing the Light: Optogenetics Provides Bright New Prospects for Hearing Restoration Genetic Engineering & Biotechnology NewsLight has been used to make deaf gerbils hear using optogenetic stimulation to create a new and improved cochlear implant. December 13, 2018 - Stimulating Muscles With Light Could Soon Treat Paralysis FuturismNew research describes how optogenetics, which involves activating nerve cells with pulses of light, could vastly improve paralysis treatment. April 8, 2019 - Optogenetics Device Offers Stable Way to Treat Bladder Problems Photonics.comA tiny, implantable device has been introduced that can detect overactivity in the bladder and use light from biointegrated LEDs to tamp down the urge. January 10, 2019 - Optogenetics implant is good news for incontinent rats physicsworld.comNormal bladder function in rats has been restored by researchers in the US, who have developed an implantable, closed-loop system that exploits optogenetics. April 9, 2019 - Wireless Implants Controls Neurons with Light Veterans InsightsResearchers developed wireless and battery-free implant devices with advanced control over targeted neuron groups. April 15, 2019 - This gene could play a major role in reducing brain swelling after stroke EurekAlertInflammation gone awry in the brain due to stroke, head injury or infection causes damage; in a lab model of stroke, a particular gene tamped down swelling. September 1, 2018 - Digital holographic lighting enables human neural network research BioOptics WorldHolographically shaped illumination for optogenetics enables stimulation of single neurons at high spatiotemporal resolution. January 8, 2019 - Advanced Wireless and Battery-Free Optogenetics Device to Control Neuronal Activation | MedgadgetResearchers at the University of Arizona have developed an advanced optogenetics device that can stimulate multiple areas of the brain at once and control. January 2, 2019 - A new implant uses light to control overactive bladders Science NewsExperiments in rats show that a new soft device could help alleviate frequent, sudden urges to urinate. March 6, 2019 - Applied Genetic Technologies: An Eye on Optogenetics Moneyshow.comApplied Genetic Technologies (AGTC) is a clinical-stage biotechnology company that uses a proprie. April 30, 2018 - Using optogenetics and holographic projection, scientists aim to implant perceptions in brain Medical XpressWhat if we could edit the sensations we feel; paste in our brain pictures that we never saw, cut out unwanted pain or insert non-existent scents into memory? August 6, 2018 - Deisseroth lands Leibinger prize for optogenetics work Optics.orgPioneering Stanford University researcher will receive prestigious Zukunftspreis at awards ceremony next month. October 10, 2018 - Optogenetics Pioneer Receives Berthold Leibinger Zukunftspreis Photonics.comFor his groundbreaking work with lasers in the development and implementation of optogenetics, Karl Deisseroth will receive the Berthold Leibinger Zuk. February 8, 2018 - Optogenetics 2.0: Brain control goes wireless via light, sound, or a drug STATLook for a three-way race pitting chemogenetics against standard and wireless optogenetics, starting in basic research. January 17, 2019 - Study recasts cerebellum as key player in social reward SpectrumThe cerebellum, often summed up as the brain's motor region, is in fact involved in mediating the pleasure people derive from socializing, a new study suggests. March 29, 2019 - Optogenetics Actuators & Sensors Market to witness consistent growth in next 5 years Oak TribuneThe Optogenetics Actuators & Sensors Market Research Report 2018 – 2026 examines the competitive landscape, Market dynamic and discusses major trends. November 16, 2017 - How Optogenetics May Pave a Radically New Way to Curing Brain Disorders Big ThinkResearchers develop a next generation technique to control individual neurons in the brain, paving a new road towards curing brain disorders. September 1, 2016 - He may be the rightful inventor of neuroscience's biggest breakthrough in decades. But you've never heard of him STATThe saga of Zhuo-Hua Pan, perhaps the rightful inventor of optogenetics, raises the question of what it means to invent something in science.